If investors were to learn anything from the past ten years, we would hope it would be the realization of the tremendous difference between excellent advice, and the rest of the puzzling advice that investors have received from wirehouse brokerage firms, the press, and self-appointed experts. Financial planning does not end nor begin with the words, “Buy, Sell or Hold.”Unfortunately, for a great number of people that has been the extent of the so-called advice they have received. Brokerage firms have gone through an ugly metamorphosis from professionals that acted in the best interests of their clientele, to a financial big box store, trying to sell you as many things as possible, as often as possible, and always in bulk. Markowski Investments’ true value is our people and reputation. The relationship between what we cultivate with our clients is modeled after the doctor-patient relationship. We are an independent Registered Investment Advisory, not beheld to shareholders looking to beat next quarter’s earnings; we serve our clients…period. Markowski Investments believes that if we serve our clients well, our own achievements will follow. Our continued success depends on our ability to maintain the highest level of ethical standards. 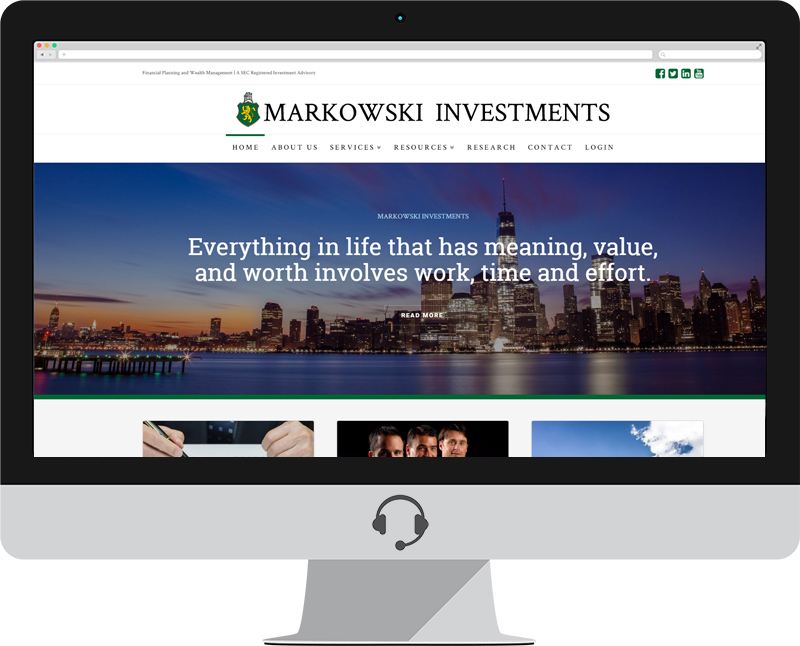 We at Markowski Investments will provide our clients with the highest level of service and technical expertise in the management and preservation of wealth. We are always anticipating the changing needs of our clients and developing new and innovative ways to meet those needs. Unlike other firms, our business is strictly client-based; we cease to exist without them. We go to great lengths to maintain our performance and relationships. The pursuit of excellence in and out of the workplace is an obligation for all at Markowski Investments. We place our clients’ interests first, act with integrity and honesty, and strive for excellence in every facet of our practice.